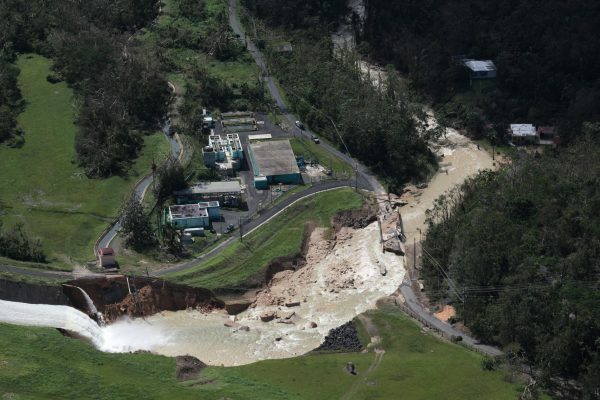 SAN JUAN, Puerto Rico—A Puerto Rico dam damaged by heavy rains from Hurricane Maria was in danger of failing on Sunday, posing a risk to communities downstream, as people across the U.S. territory sought to dig out from the deadly storm. 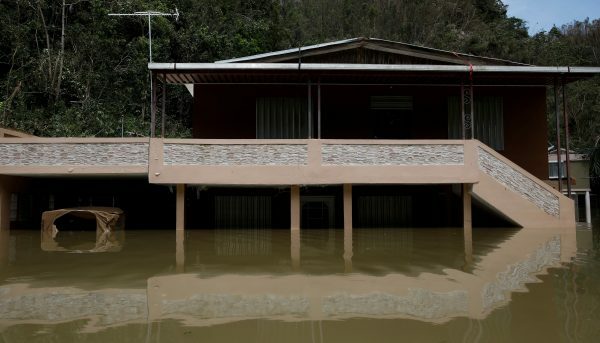 Some 70,000 people who live downstream from the compromised Guajataca Dam in the northwest of the island were under orders to evacuate, with the structure in danger of bursting at any time. 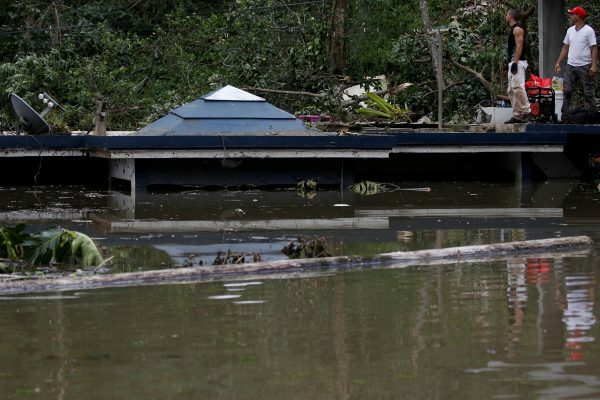 Puerto Rico Governor Ricardo Rossello, after surveying damage to the cracked dam, reiterated his request on Saturday that people leave the area as soon as possible. “The fissure has become a significant rupture,” Rossello said at a news conference. 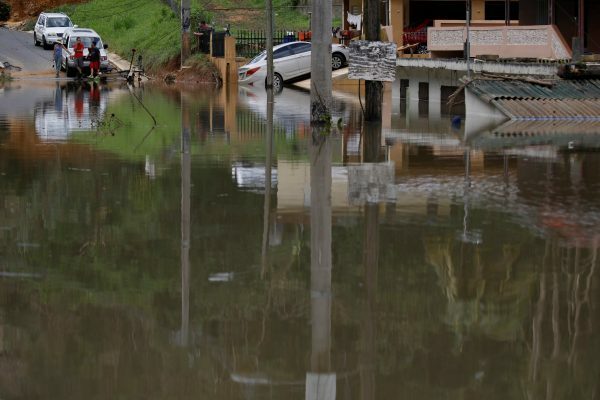 The National Weather Service extended a flash flood watch for communities along the rain-swollen Guajataca River, downstream from the dam, until 1400 local time on Sunday. 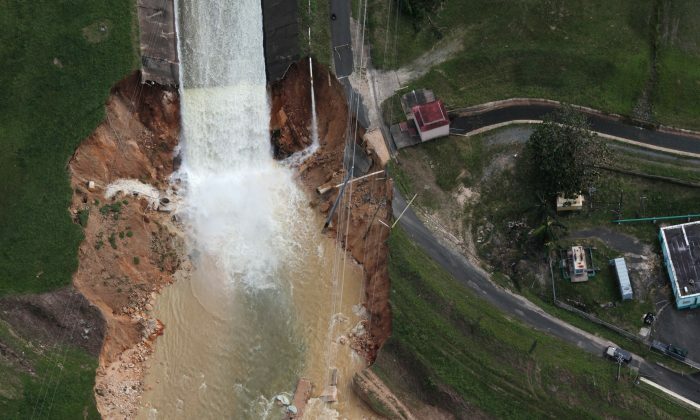 If the dam fails, the flooding would be life-threatening, the National Weather Service warned. “Stay away or be swept away,” it said. Maria, the second major hurricane to savage the Caribbean this month and the most powerful storm to strike Puerto Rico in nearly a century, carved a path of destruction on Wednesday. The storm killed at least 25 people, including at least 10 in Puerto Rico, as it churned across the Caribbean, according to officials and media reports. It knocked out electricity, apart from emergency generators, on Puerto Rico, which has 3.4 million inhabitants. 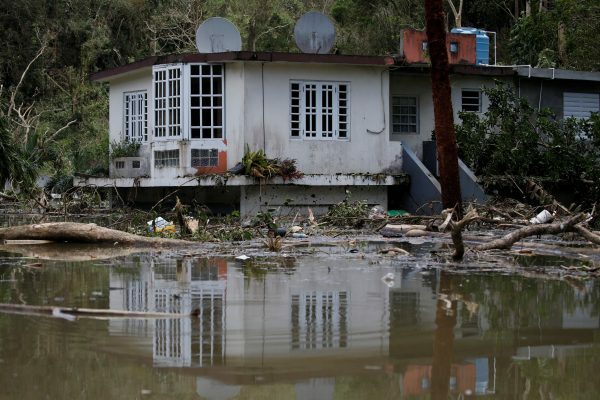 Severe flooding, structural damage to homes and virtually no electric power were three of the most pressing problems facing Puerto Ricans, New York Governor Andrew Cuomo, whose state is home to millions of people of Puerto Rican descent, said during a tour of the island. The Guajataca Dam was built in 1929 to serve as a supply of drinking water and for irrigation, according to a U.S. Geological Survey website. Drivers had to wait up to seven hours at the few filling stations open on Saturday, according to news reports. Hotels, meanwhile, warned that guests might have to leave soon without fresh supplies of diesel to keep generators operating. Water rationing also began on Saturday. Signs posted throughout San Juan’s Old Town informed residents that service would return for two hours a day between 1700 and 1900 local time until further notice. Telephone service also was unreliable, with many of the island’s cell towers damaged or destroyed. Maria struck Puerto Rico as a Category 4 storm on the five-step Saffir-Simpson scale, dealing a savage blow to an island already facing the largest municipal debt crisis in U.S. history. The storm caused an estimated $45 billion of damage and lost economic activity across the Caribbean, with at least $30 billion of that in Puerto Rico, said Chuck Watson, a disaster modeler at Enki Research in Savannah, Georgia. Maria, which was hundreds of miles east of Florida over the Atlantic Ocean on Sunday, had eased slightly to a Category 2 storm but still sustained winds of up to 110 miles per hour (175 kmh). It was expected to weaken gradually as it moves north over the next two days. Scattered showers were forecast for Puerto Rico on Sunday, said National Weather Service meteorologist Arlena Moses at the agency’s Miami office. Maria hit Puerto Rico about two weeks after Hurricane Irma, one of the most powerful Atlantic storms on record, killed more than 80 people in the Caribbean and the United States. The two storms followed Hurricane Harvey, which also killed more than 80 people when it struck Texas in late August and caused flooding in Houston.